Left behind parents of international child abduction face extreme and at times deadly risks when they attempt to reunite with their internationally kidnapped child under the auspices of a court order or when a legal arm of justice has no reach due to diluted, contradictory, or non-existent international law dealing with international child abduction. In less than one month's time, the community of left behind parents lost two more parents (fathers) who were in the process of reuniting with their abducted children. The I CARE Foundation would like to express our deepest sympathies to families and friends of both fathers after such terrible tragedies. The deaths of these fathers - one a murder and one an accident - should not have happened and would not have occurred if their children had not been abducted. Responsibility in great part of these two tragic events undeniably falls on the international legal community at large that does not expedite the severity of international child abduction, and as demonstrated in the tragedy of Mr. Mattoni - countries such as the Philippines still have not acted responsibly and joined the 1980 Hague Child Abduction Convention. Let me make this clear - the deaths of Mr. Exposito Moreno and Mr. Mattoni should not have occurred. But there is more - the reality is that so many left behind parents who have their children kidnapped abroad have their lives threatened. These threats are not rare but are actually the norm. As a society we must not accept either a child's international abduction or the very real threats aimed at targeted parents of abduction. This is an outrage! The gravity of the hardships chasing parents face in the wake of their child's parental abduction are far from isolated incidences. Left behind parents are at often victims of murder, death threats (including threats to family members), tragic accidents, assaults, false allegations of abuse and/or assault, identity theft, slander, financial theft, and anything else that will assist the parental child kidnapper in getting away with their act of kidnapping. The reality is left behind parents not only have to deal with the fact that their child has been internationally kidnapped, but that their life is under attack by their child's other parent - the child's kidnapper. The I CARE Foundation has repeatedly stated there are typically two victims when it comes to international parental child abduction: the victimized, kidnapped child and the left behind parent. Rightfully, society's primary attention focuses on the kidnapped child; however, for too long we have not addressed the real dangers that left behind parents, chasing into the darkest storms face in the wake of their child's abduction. 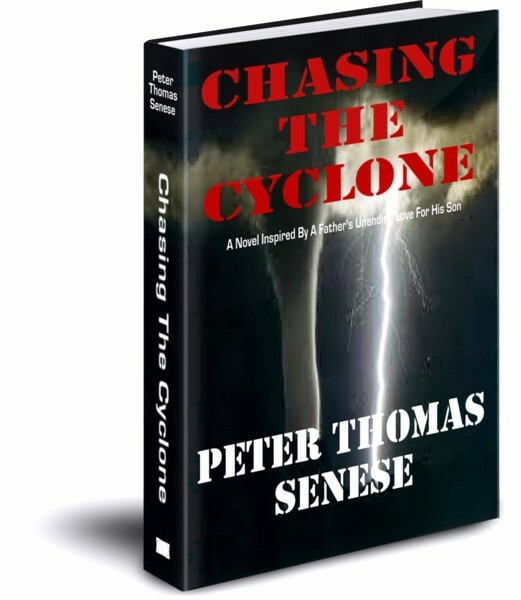 Make no mistake, the journey that chasing parents, left in the wake of their son's or daughter's international child kidnapping face, are extreme in every possible sense. On June 25, 2014 Domingo Exposito Moreno, age 32 and a resident of Spain's Andalusian town of Fuengirola was shot five times by a hooded gunman while sitting in a car awaiting his attorney's arrival in the southern Argentina's Patagonian City of Comodoro. Domingo Exposito Moreno was a left-behind parent who endured a prolonged four years international child abduction litigation case under the 1980 Hague Child Abduction Convention. The Argentinian court had ordered he would be able to bring his six-year old daughter home after she had been abducted by her mother and taken from Spain to Argentina. Previous to his murder, Domingo Exposito Moreno had made complained to Argentinian authorities that he had been receiving death threats via social media forums. Tragically, local law enforcement failed to act on his complaints. More than likely law enforcement did not take his concerns seriously and more than likely wrongfully viewed his concerns as a banter commonly associated with divorce and child custody cases as opposed to the reality that his case was in fact a child kidnapping case. An expected march is scheduled for July 25th, 2014 in Comodoro to commemorate Domingo's murder and remind the world that international parental child abduction is a dangerous crime against both child and targeted parent. 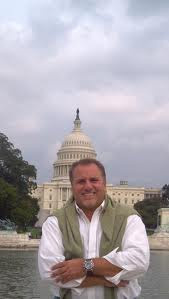 July 12, 2014 New York City resident Frank Mattoni died after being involved in a motorcycle accident while in the Philippines while attempting to reunite with his internationally kidnapped daughter Kayla. Having seen numerous court documents and exhibits that were presented to the New York State Supreme Court, Frank Mattoni claimed the child's mother Sheila Digon Castillo had taken the child to the Philippines right after the child's birth nearly 10 years ago. The court documents Frank Mattoni presented to the New York State court stated that once he ended the relationship with Sheila Digon Castillo, Ms. Castillo never informed him that she was pregnant, nor, did she inform him until several years later that he was a father. Instead of sharing with Frank Mattoni that she was pregnant, Ms. Castillo decided it would be better for the child not to have a relationship with her father (Frank), and as Ms. Castillo was focused on advancing her career as a nurse in New York City, she decided to bring the child to the Philippines so she could be raised by her relatives. These details were unknown to Frank as he did not know he had a daughter born and raised for the first three months of her life on Manhattan's Upper East Side. According to Frank Mattoni (and extensive court documents and evidence presented into New York State's Supreme Court), Sheila Digon Castillo contacted Frank on his birthday several years ago after not contacting him since Frank ended his relationship with Sheila (in court documents presented by both parties, there were no claims of abuse made against Frank) and told him that she and his daughter wish him a happy birthday. He was told that his daughter's name was Kayla (who looks so much like Frank), and that she was living in the Philippines. That day was the first time Frank ever knew he had a daughter. Frank was a wonderful man and this news, about having a daughter, clearly brought such incredible joy to his life. Soon after, Frank arranged for Sheila to travel to the Philippines and pick up Kayla in order to bring her back to the United States. So Frank eventually got to meet his beautiful daughter, and with that he quickly stepped into the role of being a proud father, which was evidenced by the hours and hours of videos and pictures I personally viewed. Obviously and rightfully so, Frank had serious trust issues concerning Sheila - how could he not when this was a person who would deny their child the love of their father, especially since Frank was a good man. So one day, and unknown to Sheila, Frank took Kayla to the hospital to have both of their DNA tested. Sure enough, Kayla was indeed Frank's daughter. And as he told me, "It was one of the greatest days of my life ... just knowing. The greatest day was when I looked at my daughter for the first time: I knew she was my daughter." During the near month that Kayla was in the United States, Frank welcomed Sheila and Kayla into his extended family. The pictures and videos I have witnessed showed a young girl ... finally coming home ... and a father who simply loved her and was willing to do anything possible in a cooperative, co-parenting way for Kayla's sake. In order to have a voice in Kayla's life, Frank knew that he needed to seek the assistance of the courts. As he told me, he had some real concerns that Sheila was perhaps not telling him the truth when it came to co-parenting Kayla. So he sought relief and assistance from the New York State Supreme Court which at the time had jurisdiction over Kayla while she was in New York. Unfortunately, Frank was unable to serve Sheila with his court papers before she whisked the child back to the Philippines and out of the reach of the New York State Supreme Court. New York state no longer had jurisdiction because Kayla was no longer living in New York, nor had she been there for the required period of time that would have allowed the state's courts long-arm reach regarding jurisdiction... all this despite the fact that Ms. Castillo lived in New York and only one mile away from Frank! Even with the DNA evidence that Frank had, proving that Kayla was his daughter, this evidence meant nothing in New York. Frank put forth real efforts, which revolved solely around the best interest of his daughter in a co-parenting light, to resolve this matter. However, I witnessed on many occasions the telephone calls, emails, etc from Frank that went unanswered. Eventually, Frank left New York and went to the Philippines in an effort to reunite with his daughter, Kayla, who truly meant everything in the world to him. And I do mean, everything. Tragically, during his efforts to reunite with his daughter, he passed away after being involved in a motorcycle accident. His death will be felt by so many individuals that knew and cared for Frank. Sadly, his daughter Kayla will only know a part of the loving father he was. And should one day Kayla Castillo Mattoni ever read this, Kayla I hope you know just how much your father loved you. You brought such joy and happiness to his life. One day I hope you are able to obtain the United States of America flag that was flown over the United States Capitol in your father's honor, along with the accompanying citation in your name, that I presented to him. Once again, the hard reality that the Philippines is not a member of the 1980 Hague Child Abduction Convention further demonstrates, as in Frank Mattoni's case, how a loving parent has limited options available to them outside of traveling to the foreign country and attempting to reunite with the child overseas. The challenges Frank faced trying to reunite with his daughter are not uncommon. Sadly, even the best of efforts to reunite a child with their left behind parent can often fail. The hard truth is that international parental child abduction law is complex - and growing more complicated with each day as exemplified by a widened acceptance of Article 13(1) defenses under the 1980 Hague Child Abduction Convention. To put it as simple as possible - the vast majority of children around the world do not come home because the systems we use do not work effectively, or the systems we expect to exist to help children and parents of abduction simply do not exist. The tragic deaths of Domingo Exposito Moreno and Frank Mattoni - though different - exemplify the risks left behind parents face. These tragedies are not uncommon, nor are the real death threats and other formidable acts left behind parents have to face. Today, I am happy to share that the U.S. Senate passed Senate Resolution 2509. This is a very big deal in the fight to protect American children and their targeted parents from abduction. With approximately 20% of American children abducted to Hague signatory countries being court ordered to be returned home, and approximately 11% of American children abducted to non-Hague signatory countries being court ordered by a foreign court to be returned to the United States, it is imperative that judges everywhere realize that the reality is that the most left behind parents will never reunite with their abducted child. In the meantime, the risks and peril they face are extreme. The key to protecting children from international parental child abduction is to prevent it from happening. Since the I CARE Foundation's inception, the U.S. child abduction rate has declined over the past four years by 38.06%. May God look over the souls of Domingo Exposito Moreno and Frank Mattoni while also protecting the lives of these two fathers' daughters. What U.S. Travel Consent Form Should Be Used For American Children Traveling Internationally? The I CARE Foundation: For divorced, separated, or parents in a volatile situation, using the right international travel child consent form is by far one of the most important choices a parent can make when a child is either court-ordered to travel abroad or by mutual consent. The reality is that the majority of international child abduction cases occur when one parent wrongfully detains a child in a foreign country outside of a court order or consent of the other parent. Tragically, only a small minority of children abducted abroad are returned to their country of habitual residency by court-order. The vast majority of children do not come home. 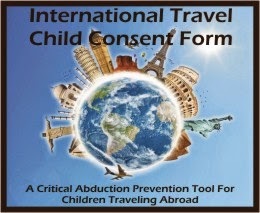 The I CARE Foundation's international travel child consent form is the only global travel child consent form that was created in order to protect against international child abduction. The document has been called an exceptional child abduction prevention tool by the Secretary General of the Hague Conference, as well as a wide global range of leaders around the world familiar with child abduction. All parents, regardless of where you and your child live, should ONLY use the I CARE Foundation's model, Hague-centric international travel child consent form. The 1980 Hague Child Abduction Convention was created to protect against abduction and in essence return children to their country of habitual residence. The problem is that there are sizable abduction defenses in the Hague Convention, making it extremely difficult for a child to be returned home. For example, less than 20% of American children abducted abroad to a country that is a member of the Hague Convention were court-ordered to be returned to their country of habitual residency. Additionally, only 11% of children abducted to non-Hague countries were court ordered returned. Making up for some of the returns are voluntary returns, but lets be very clear about this: at least 50% of children abducted abroad do not come home one way or another. In the meantime, if you are a parent that has a child abducted, you can expect to pay a fortune of money in order to bring your child home. And we're not talking about a few thousand dollars. Reality is that many parents experience costs of hundreds of thousands of dollars, and even then, there is no guarantee they will get their child home. The I CARE Foundation's international travel child consent form is a Hague-centric form. This means it takes into consideration nearly every possibility that may occur when an abductor wrongfully detains a child abroad. Thus far, and to the best of our knowledge, every child using our form has in fact come home. Numerous law journals and law publications have published material on the I CARE Foundation's travel consent form. International child abduction is complex, as too are the defenses used by one parent against another when abduction occurs. When the I CARE Foundation created our travel consent form, we took into account the complexity of all these issues. Thus, our form is detailed and specific because we know the complexities of law surrounding abduction including the arguments an abducting parent may present in order to defend against their act. What we have done is essentially removed defenses often used in abduction cases by incorporating important language in our I CARE Foundation international travel child consent form. We invite you to review our legal analysis of the I CARE Foundation's travel consent form as published by the Colorado Bar Association to understand the complexity of abduction when a child is wrongfully detained abroad. Here is the reality: the I CARE Foundation's International Travel Child Consent Form is the best and only global international child abduction prevention tool. No matter what - any parent, but especially those who have children from a multi-national marriage, and those who have or may be experiencing divorce or separation - must use the I CARE Foundation's travel form. Visit the I CARE Foundation's blog. Looking out over the past four years of the I CARE Foundation's activity working to protect children from international child abduction, my eyes and my spirit reflect upon a sea of faces of children and parents we have helped. However, there are other faces - the faces of the dedicated I CARE Foundation staff who work day-in and day-out on behalf of at-risk children. 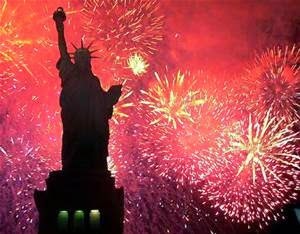 And today, on America's Independene Day, I applaud each member of the I CARE Foundation family around the world as each of your unselfish acts have, in reality, made a significant and immeasurable positive difference on the lives of so many others. Unquestionably, it is through each of your acts of dedication to fighting the fight against child abduction that we, as a private non-profit organization, have created a large, positive, and formidable footprint on behalf of children everywhere. The United States outbound international parental child abduction rate has dropped by 38.06% while in the rest of the world the outbound child abduction rate continues to rapidly grow. For example, in England the outbound child abduction rate has reportedly grown by nearly 100% over the past decade. God willing, the I CARE Foundation's reach in England via our landmark and groundbreaking international travel child consent form will reduce the abduction rate in England and nearly every other country in the world, where, in reality, the abduction rate has grown to pandemic levels. The I CARE Foundation's creation and global implementation of our international travel child consent form has been directly responsible for ensuring the safety of a large and growing number of children around the world. 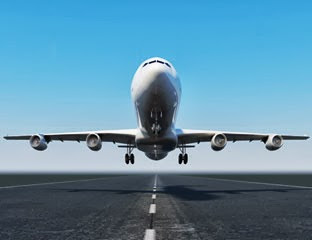 In fact, the scholarly and legally sound travel consent form has been called the first and only global child abduction prevention tool: one that in a year's time has changed the landscape of child abduction prevention. We take great pride in knowing that not only has our travel consent form been called 'Remarkable' by the Hague Conference Secretary General, but due to its success, plans are underway within the Hague Permanent Bureau to create an official Hague International Travel Consent Form using the I CARE Foundation's form as a model.When we consider that studies show that at least 70% of all international parental child abductions occur when a child is wrongfully detained abroad, and less than 20% of all children are court-ordered to be returned to their country of habitual residency, not only has our work protected the lives of many, but in a very real way, the I CARE Foundation's travel consent form protects the integrity of the Hague Child Abduciton Convention. We have raised society's awareness of international parental child abduction, including awareness amongst potentially targeted parents. Our social media outreach has had immeasurable results: the 38.06% U.S. abduction decline is directly related to our outreach campaigns. To all my friends who I am proud to work side-by-side with, I wish to each of you a Happy Independence Day - wherever you are in the world. And America - Happy Birthday! On April 1st, 2014 Japan formally joined the table of nation’s participating in the 1980 Hague Child Abduction Convention. For many, Japan’s ratification of the Convention, which had been developed “to protect children internationally from the harmful effects of their wrongful removal or retention and to establish procedures to ensure their prompt return to the State of their habitual residence” (Preamble of the Convention), was a landmark breakthrough, particularly since it was previously extraordinarily rare a parentally abducted child taken to Japan was ever returned to the child’s country of habitual residence. Despite Japan’s ratification, there has been significant concern as to how Japan’s two courts dealing with Hague abduction cases (concentration of jurisdiction) would actually apply the Convention, in particular the Article 13(1)(b) exception. (Writers Note: At the time of this article there exist several pending cases being determined by Japan’s two Hague tribunal courts). Inevitably, due to the particular importance of the role of judges under Article 13(1)(b), many stakeholders around the world, must carefully consider Japan’s capability and willingness to uphold the rules of law pertaining to a child’s welfare when considering whether to allow a child to travel to Japan with one of the child’s parents (presumably that parent is a Japanese national, typically the mother). Clearly there is concern over Japan’s past history to disregard a foreign issued court order stemming from the courts of the child’s original jurisdiction (habitual residence). Preventing international child abduction is paramount to all issues when a court must decide whether to allow a child to travel abroad. However there is another part to the story: the challenges a Japanese national living abroad faces when seeking court permission to travel with their child to Japan when the other parent opposes such travel due to concern that the other parent will not return with the child and the Japanese court will uphold the child’s abduction, considering the Article 13(1)(b) exception to be fulfilled and applicable. Undeniably, foreign courts must act cautiously and prudently when considering whether or not to issue permission for a Japanese national to travel abroad with their dual-citizenship child. The arguments to restrict travel are indeed compelling. But in looking at the long arch of the Hague Conference and its 38 conventions, including the 1980 Child Abduction Convention, what really exists are a series of ‘bridges’. Bridges that connect countries and its citizens. Bridges created to promote cooperation. And perhaps most of all, bridges created to celebrate the ideals of global citizenship. Allowing a child to know and embrace their full identity – meaning the culture, heritage, and family members living abroad - is paramount to good parenting. So too is protecting against abduction. After all, the best response to abduction is not to let it occur at the first place. Well, to begin, in nearly all matters before foreign courts (outside of inbound Hague abduction cases and permanent mobility cases), the issue will revolve around permission to travel abroad for a family vacation. One of the most effective tools that all courts located in countries that are signatories to the 1980 Hague Child Abduction Convention can use to bridge the concerns between Japan and Hague Convention Contracting States is the I CARE Foundation’s International Child Consent Form that has been utilized in courtrooms around the world and has been called a “model to follow” by senior officers of the Hague Permanent Bureau. Critically, the I CARE Foundation’s Hague-centric International Travel Child Consent Form is steep in language that was created to prevent against misuse of Articles 12 and 13 of the convention while emphasizing the importance of a child’s quick return to their country of original jurisdiction should abduction occur. Like all bridges, in order to allow passengers to cross, a strong foundation must be created on both shores. This is no different when addressing Japan’s participation to the 1980 Hague Child Abduction Convention. In all fairness to Japan, it is clear that the country is taking seriously its participation to the child abduction convention as demonstrated by the very comprehensive efforts to prepare for the entry into force of the Convention for Japan and maybe in particular by concentrating the jurisdiction for Hague cases on two courts only. It is the opinion of the I CARE Foundation that perhaps the most important step Japan can take as a nation to further integrate itself into the cultural climate of law created by the 1980 Hague Child Abduction Convention is for members of its legal community to begin implementing and upholding the I CARE Foundation’s Hague-centric International Travel Child Consent Form in Japanese courtrooms. By doing so, Japan creates internal case law and precedent for outbound child travel cases of Japanese children. Conversely, by establishing the I CARE Foundation’s travel form in its courtrooms, Japan’s courts sends a clear message that they will uphold the travel consent form issued in a foreign court. Critical to the creation of this much-needed bridge is the immediate cooperation of Japan’s family law attorneys and judiciary to use the I CARE Foundation child travel consent form in Japan’s courtrooms. Against this background, the I CARE Foundation was particularly pleased that on July 3rd, 2014 at the Sapporo Bar Association’s Hague Symposium that was expected to draw over 120 of Japan’s top family law attorneys, as well as family law practitioners from Australia, France, Hong Kong, India, Indonesia, Malaysia, Pakistan, China, and Singapore, the Foundation’s model travel consent form was presented as a good model example of a Hague-centric travel consent form. Previously, Hague Permanent Bureau senior officers stated to members of the European legal community (at the LEPCA Conference held at the Peace Palace in The Hague) and the North American legal community (during the IAML Conference in New York), that the I CARE Foundation’s International Travel Child Consent Form was a model travel consent form that legal practitioners should consider using when dealing with international travel child matters. According to an ongoing I CARE Foundation study that polls legal professionals deeply familiar with international parental child abduction, over 70% of all cases of international parental child abduction under the 1980 Hague Child Abduction Convention are due to a child being wrongfully detained abroad. The I CARE Foundation’s Hague-centric travel document was established to prevent child abduction in the form of a child being wrongfully detained abroad. As the international legal community attempts to navigate Japan’s participation to the 1980 Hague Child Abduction Convention, one thing is clear: the I CARE Foundation’s travel form can serve as a bridge between Japan and other Hague countries so long as Japan’s attorneys implement the form in its courtrooms and Japan’s judiciary upholds its use. And is it conceivable that the I CARE Foundation travel form can become a bridge to protect children from abduction connected to travel to or from non-Hague countries? Yes. We invite you to learn more about the I CARE Foundation’s International Travel Child Consent Form. 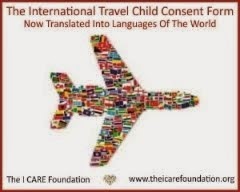 For attorneys seeking a copy of the I CARE Foundation’s legal analysis of our model international travel child consent form, please contact us at legal@theicarefoundation.org.